Home Latest Comps Hong Kong Bartenders, Are you the next Bols Genever Pioneer? 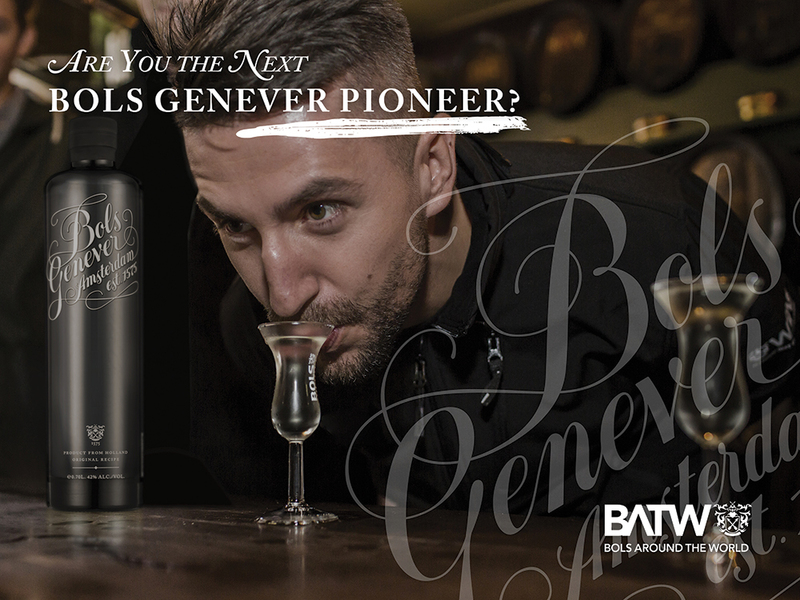 Hong Kong Bartenders, Are you the next Bols Genever Pioneer? The competition is a platform for bartenders to grow their careers, knowledge and network. As the world’s oldest distilled spirits brand, Bols has a strong connection to the bartending community, with a unique heritage dating back to 1575. Launched in 2007, the Bols Around the World competition attracts bartenders worldwide to participate and this year celebrates its 9th anniversary which sees Bols return to their roots: the Dutch spirit Bols Genever. The no. 1 Genever brand in the world, Bols celebrates Bols Around the World with the Bols Genever Edition. The competition is a platform for bartenders to grow their careers, knowledge and network. The winner will become the Bols Genever Pioneer, an all-round awesome bartender with a business focus. The Pioneer has extensive Genever knowledge but also knows how to experiment with Bols Genever, and come up with new ideas. The Bold Genever Pioneer is the classic bartender who has a passion and knack for knowing the latest trends. The regional winners will compete in May 2017 with their Bols Genever concepts in Amsterdam. The grand prize will be a Bols Genever Pioneer Around the World Tour, consisting of several stages to develop stronger Genever knowledge and bartending skills around the world. Plus, learn to distill with the Bols Master Distiller in Amsterdam, visit a masterclass at Tales of the Cocktail in the USA, and finally, master your ice-carving skills in Asia. Register your interest to participate now at www.bolsaroundtheworld.com. Profile creation is open from September 1 until October 31. In November, online heats will start, working towards the regional finals in February 2017- with a visit from one of the Bols Genever Icons in your bar! May 8 -10, 2017 for the Bols Around the World Grand Final. Bartenders will showcase their Bols Genever creations in the heart of Amsterdam on “Bols Geneverstreet’.